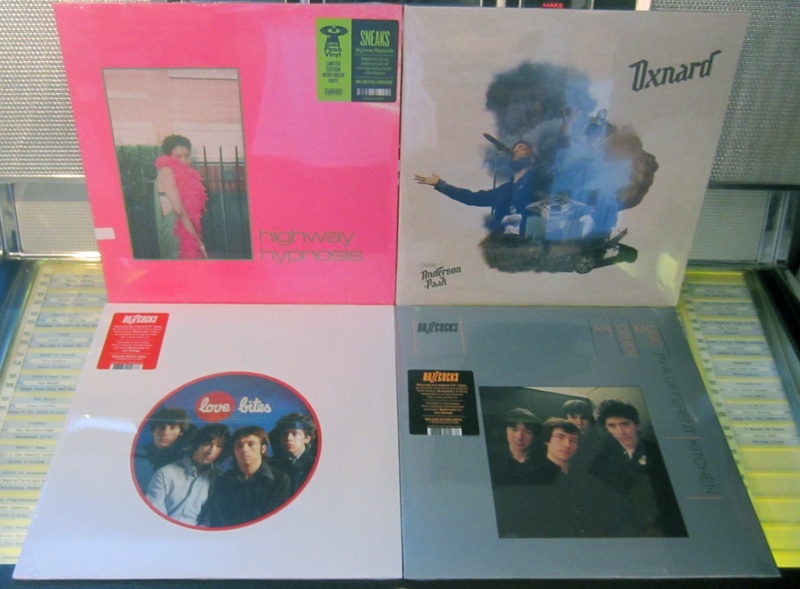 It’s the weekend so we have a couple new releases to feature plus Buzzcocks 40th anniversary re-issues have also dropped. A quick list of restocks and additions will be after the new release details. Also, just a quick reminder that we will be closed Sundays and Mondays in February. Anderson .Paak continues his unstoppable climb to superstardom with his third album Oxnard. In roughly three years the hip-hop artist has transformed from obscurity to one of the biggest and brightest acts in the world. .Paak stole the show with his feature on Dr Dre’s 2015 album Compton. He scored a Grammy nod in 2016 for his LP Malibu. He was the stand out performance at Auckland’s 2017 Laneway. And now his leading single with ol’ mate Kendrick; Tints, insinuates .Paak’s gotten so damn famous he needs tinted windows. As a schoolboy in his hometown of Oxnard, Southern California, he would dream of making an album that could match up to The Blueprint by Jay-Z, College Dropout by Kanye West or Documentary by The Game. The talented multi-instrumentalist has certainly pulled out all the stops, releasing on Dr. Dre’s label, and getting Kendrick Lamar, Snoop Dogg, Dr. Dre, Kadhja Bonet, J. Cole and Pusha T to make guest appearances. Sneaks, a.k.a. Eva Moolchan, emerges from the male-dominated Baltimore-Washington punk scene, joining the resistance forged by queer black feminists who create, explore, empower, conquer, and play bass. Highway Hypnosis combines bewitching beats and invented words, to produce what Clash Magazine described as “stripped down hip-hop, skeletal postpunk, and extra-dimensional pop music.” Highway Hypnosis was co-produced by Carlos Hernandez (of Ava Luna), Tony Seltzer (Princess Nokia), and Eva Moolchan herself. A glimmering anthem shrouded in an atmosphere of darkness, her first single “Beliefs” drops its bass along with a call to arms for all non-believers whose mantra is assigned: “Remove your beliefs and start again / ’cause all I wanna do is start again.” Among laughter samples and charming vocals featured on the album lie one club banger, your little sister’s anti-meat school lunch protest song, a 55- second epic bass surprise, and a Jacknife Lee (Taylor Swift, Bat for Lashes, R.E.M.) production credit on “Hong Kong to Amsterdam.”.